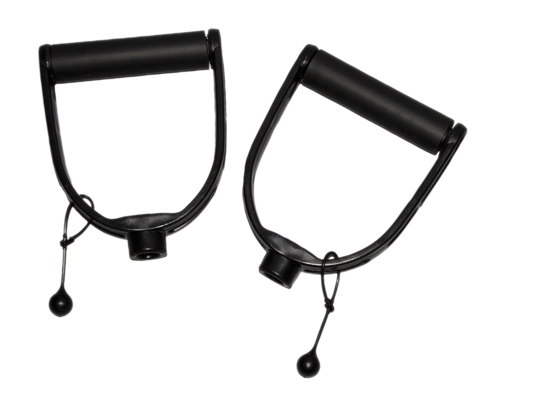 CanDo® handle with D-ring attaches to adjustable CanDo® exercise bands. It can also be attached to standard exercise band and tubing by securely tying band or tubing in a double-knot around D-ring. 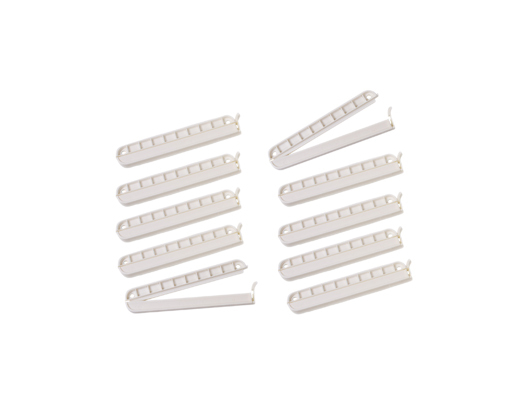 Each handle is foam covered with a firm rigid interior. Dimensions: 7" x 1" x 6"
REP Band® resistance exercise tubing is latex-free. 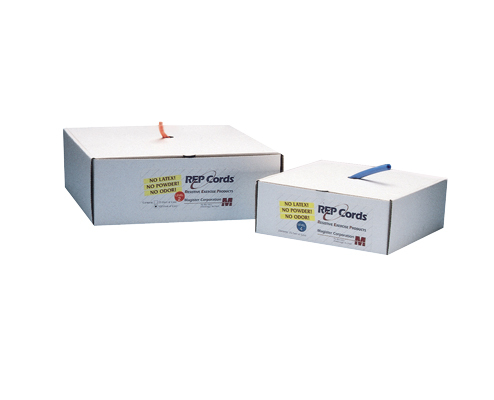 REP Band® tubing is available in 25' and 100 foot boxes. Available in 5 color-coded resistance levels from peach (easiest), orange, green blue, plum (hardest). Dimensions: 2" x 5" x 5"
CanDo® foam covered handles for band or tubing, Hollow rigid plastic covered with soft foam. Thread band or tubing through hollow core of two handles and tie band or tubing in secure double-knot. 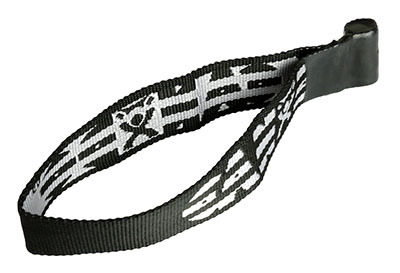 Dimensions: 6" x 2" x 2"
The adjustable webbing handle makes exercising with band and tubing easier! 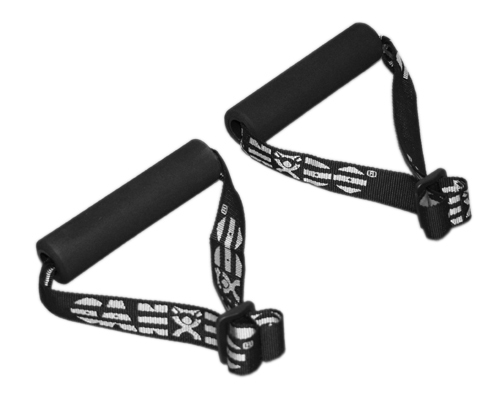 Exercise band and tubing attaches to the foam handles for comfort and a firm grip. Each handle has a 6" long foam covered rigid bar. 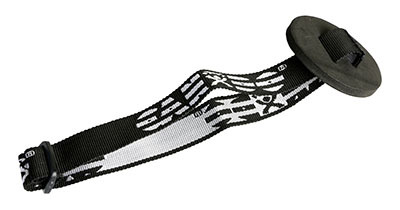 The handle has heavy-duty webbing for durability. It is easy to securely load and unload band or tubing into the handles. Dimensions: 5" x 2" x 5"
Dimensions: 3" x 10" x 10"
CanDo® exercise band accessory kit consists of 1 each: loop stirrup, door disc, handle (pair). 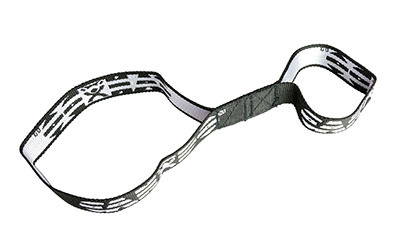 Double loop webbing stirrup has two webbing loops: one large, one small. 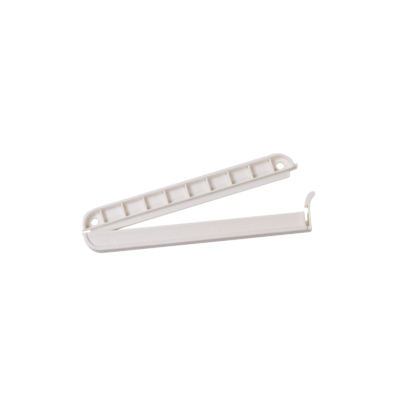 Simply place the band through the small webbing and put the other loop around any stationary object such as your foot, a door anchor or a wall anchor. 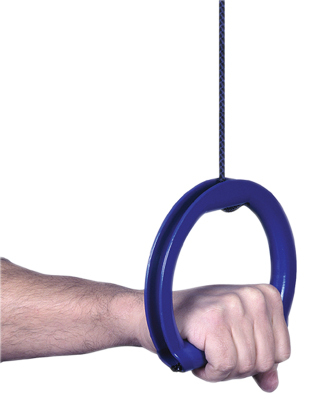 The loop can be used in conjunction with handles to facilitate a wide range of exercises. 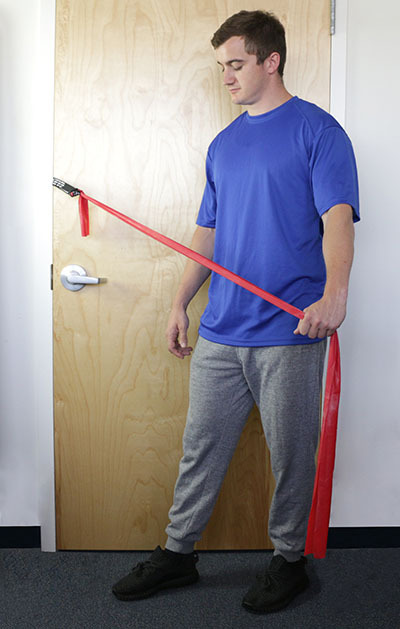 Door disc anchor turns your door into an adjustable exercise station. Place flexible disc in door jamb at any height, even on top of door! Close the door to anchor disc. 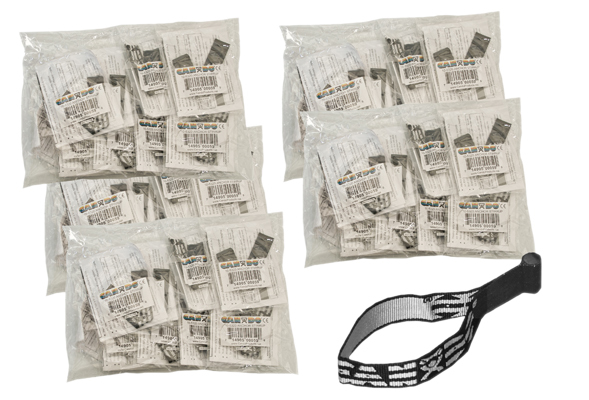 The item is easy to load and unload band or tubing into using the anchor strap. 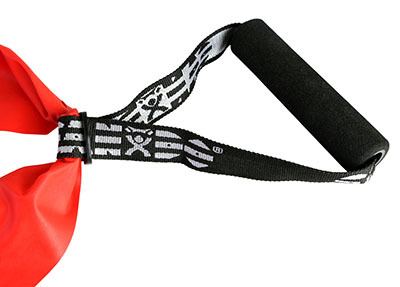 The unit contains heavy duty webbing for durability. 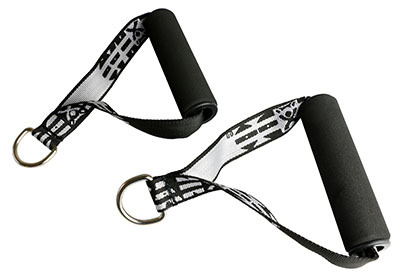 The adjustable webbing handle makes exercising with band and tubing easier! 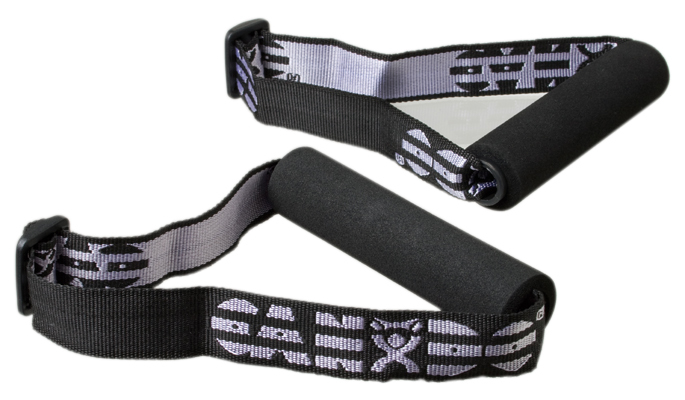 Exercise band and tubing attaches to the foam handles for comfort and a firm grip. Each handle has a 6" long foam covered rigid bar. 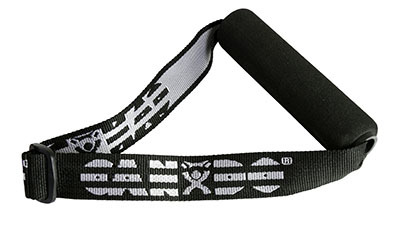 The handle has heavy-duty webbing for durability. 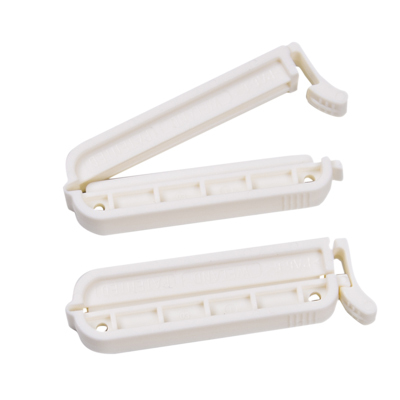 It is easy to securely load and unload band or tubing into the handles. 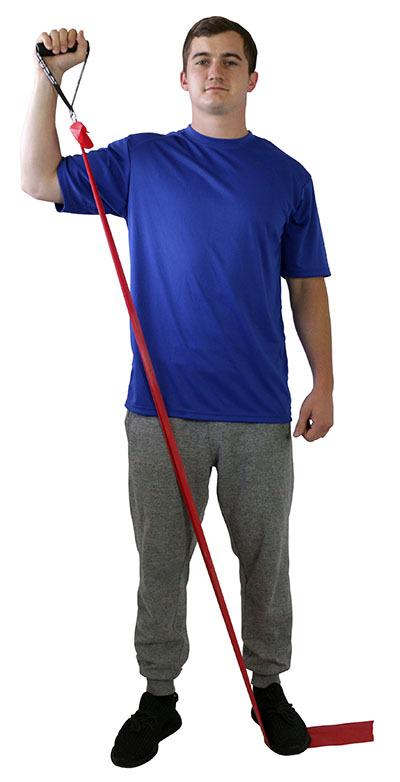 Dimensions: 6" x 2" x 4"
The extra-long (12 inch) foam covered rigid handle is comfortable to use and hold. 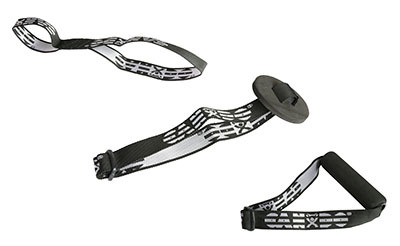 The webbing strap has three attachment positions. A single band/tube can be attached at the center or either end point. 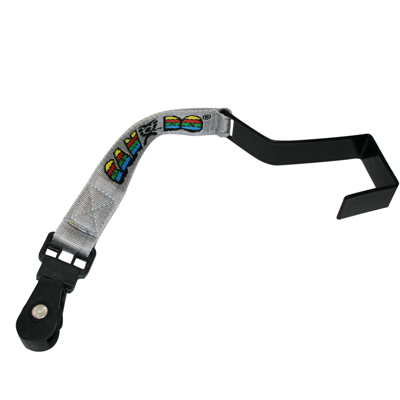 The handle has heavy-duty webbing for durability. It is easy to load and unload band or tubing into handles. 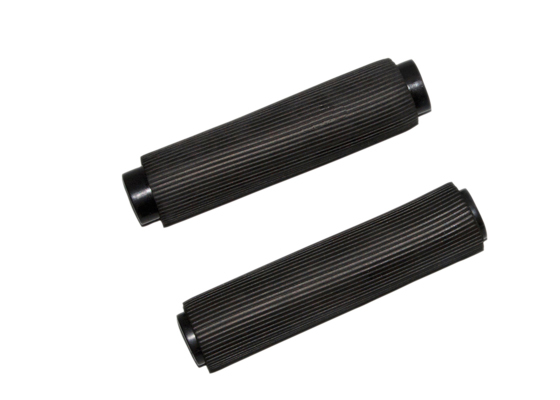 Ridged handles make exercise band and tubing easy to use. 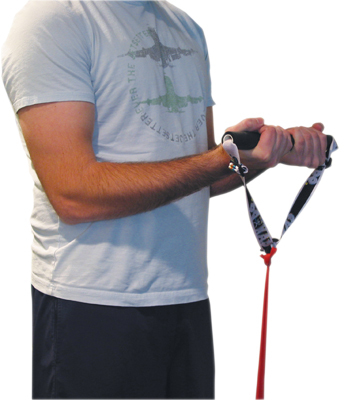 The self-locking "adjuster" holds band and tubing in place during the most strenuous exercises. Use self-locking "adjuster" to increase or decrease resistance of exerciser by shortening or lengthening exercise band/tubing. Dimensions: 6" x 0.5" x 6"
Dimensions: 6" x .5" x 6"
MarV™ handles allows for 3 grip positions: channel grip, vertical grip and stirrup grip. 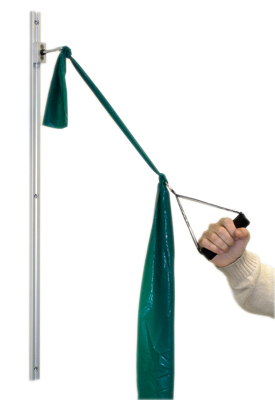 Use handles to facilitate exercising with exercise tubing or as an over door pulley. 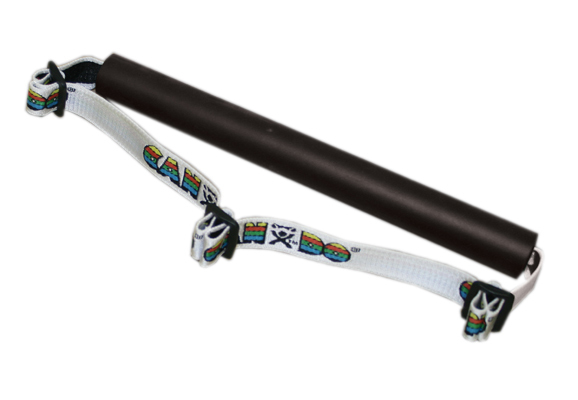 Foam padded ridged handles make exercise band and tubing easy to use. 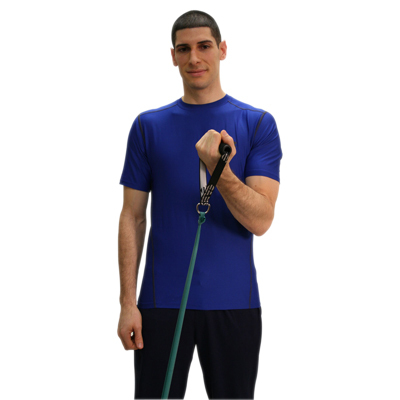 The self-locking "adjuster" holds band and tubing in place during the most strenuous exercises. Use self-locking "adjuster" to increase or decrease resistance of exerciser by shortening or lengthening exercise band/tubing. 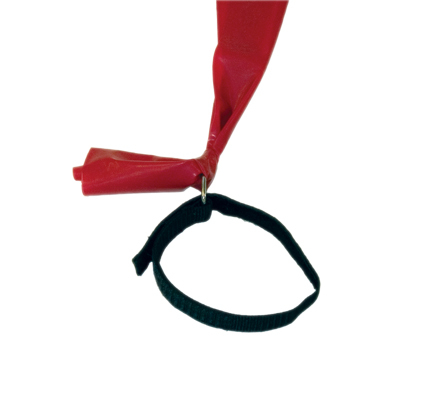 Dimensions: 6" x .25" x 6"
Loop Stirrup has two webbing loops: one large, one small. 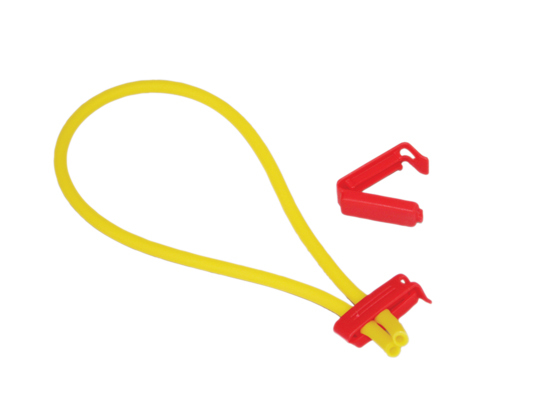 Simply place the band through the small webbing and put the other loop around any stationary object such as your foot, a door anchor or a wall anchor. 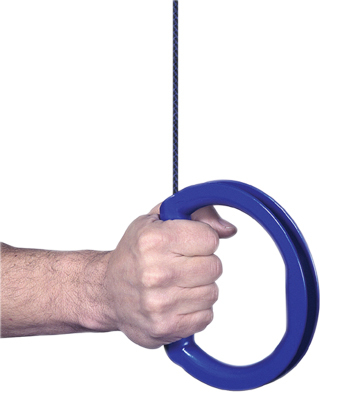 The loop can be used in conjunction with handles to facilitate a wide range of exercises. 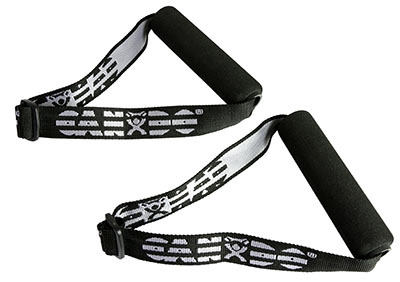 Dimensions: 10" x .25" x 1"
Adjustable extremity cuff straps used to anchor band or tubing around arms and legs to facilitate upper and lower body exercise. The adjustable strap has a 16" maximum circumference. Secure exercise band or exercise tubing into loop attachment of extremity strap. Wrap the padded extremity cuff around desired body part, such as ankle, thigh or wrist. Perform exercises targeting these hard to work regions with ease. One 16" cuff straps included. 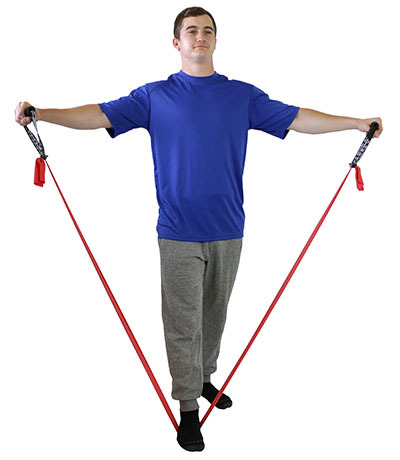 Dimensions: 16" x .25" x 1"
Adjustable extremity cuff straps used to anchor band or tubing around arms and legs to facilitate upper and lower body exercise. 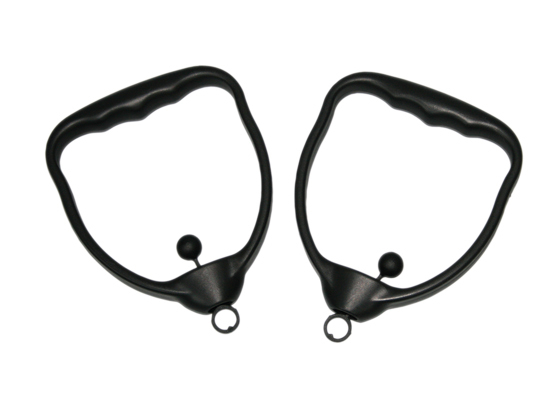 The adjustable strap has a 16" maximum circumference. 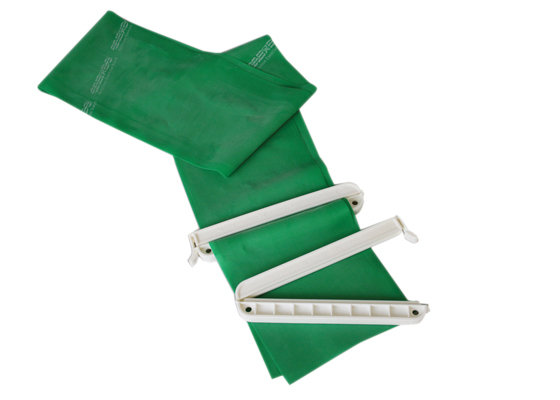 Secure exercise band or exercise tubing into loop attachment of extremity strap. 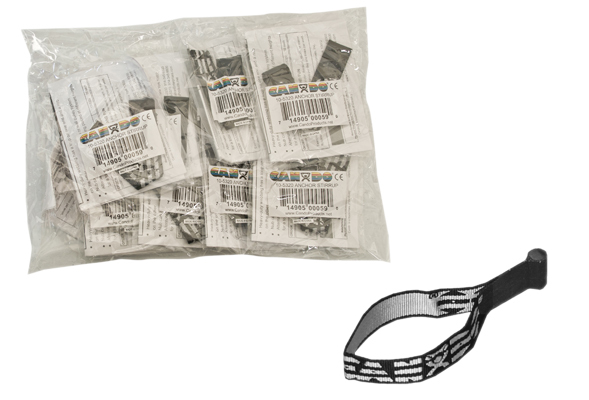 Wrap the padded extremity cuff around desired body part, such as ankle, thigh or wrist. Perform exercises targeting these hard to work regions with ease. Ten 16" cuff straps included. 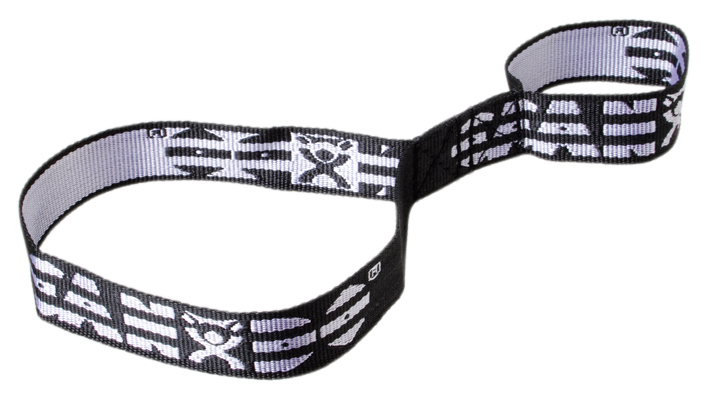 Adjustable extremity cuff straps used to anchor band or tubing around arms and legs to facilitate upper and lower body exercise. 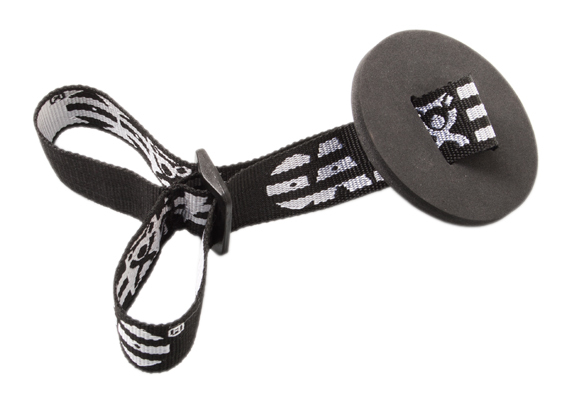 The adjustable strap has a 16" maximum circumference. 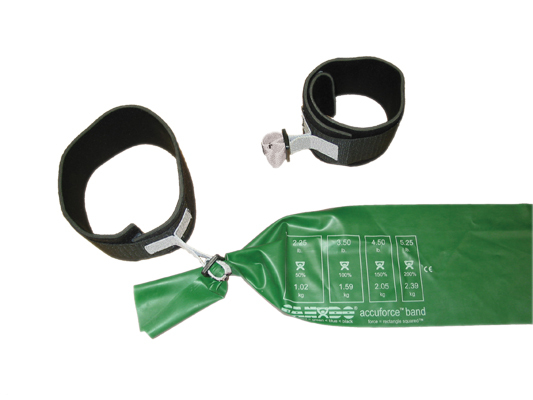 Secure exercise band or exercise tubing into loop attachment of extremity strap. Wrap the padded extremity cuff around desired body part, such as ankle, thigh or wrist. Perform exercises targeting these hard to work regions with ease. Fifty 16" cuff straps included. 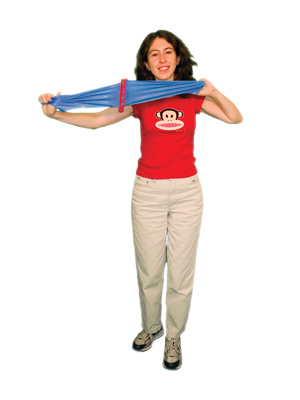 Form exercise band into a loop and secure loop by clamping the band Klip™ over the two ends of the band, a few inches from each end. This device allows band to be formed into a loop without tying the band into a knot. 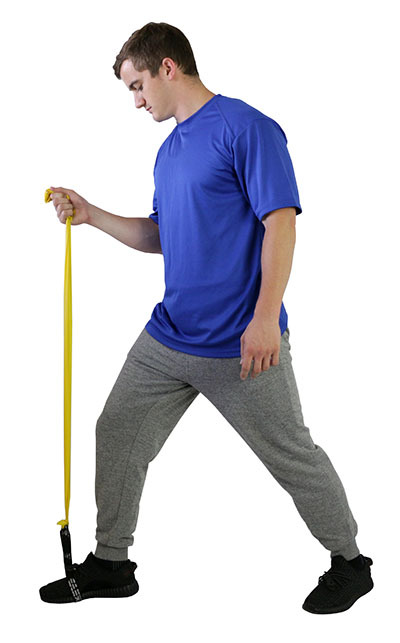 Many exercises with resistive exercise band require users to form band into a loop in order to perform the exercise. Dimensions: 5..5" x 1" x 1"
Dimensions: 5.5" x 1" x 1"
Form exercise tubing into a loop and secure loop by clamping the tubing Klip™ over the two ends of the tubing, a few inches from each end. This device allows tubing to be formed into a loop without tying the tubing into a knot. Many exercises with resistive exercise tubing require users to form tubing into a loop in order to perform the exercise. The tubing Klip™ also can be used near the end of tubing as an anchor to prevent the tubing from sliding through the opening of the exercise bar. Small tubing Klip™ designed for tan, yellow and red CanDo® exercise tubing. 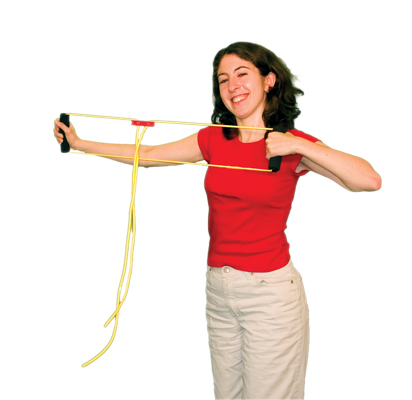 Dimensions: 1" x .5" x 1"
Form exercise band into a loop and secure loop by clamping the band Klip™ over the two ends of the band, a few inches from each end. 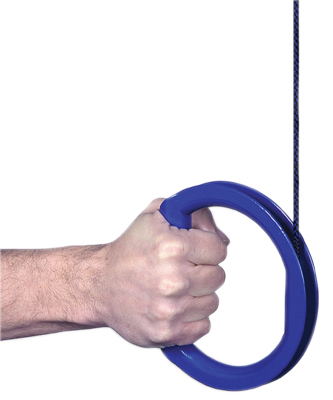 This device allows band to be formed into a loop without tying the band into a knot. 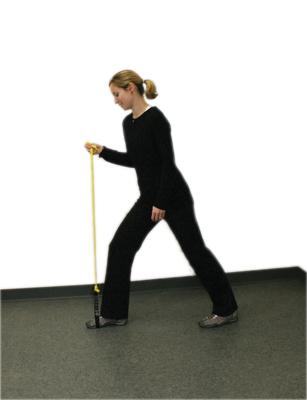 Many exercises with resistive exercise band require users to form band into a loop in order to perform the exercise. 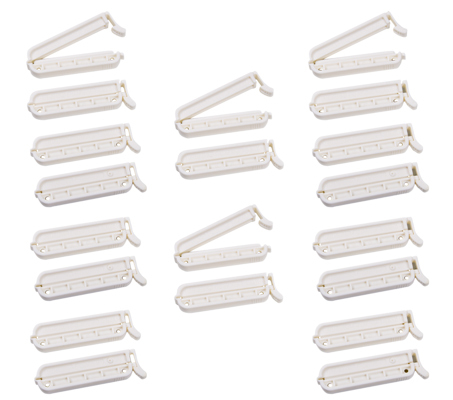 This Klip™ is 3.5" long, which is slightly smaller than the standard Klip™ which is 5.5" long. 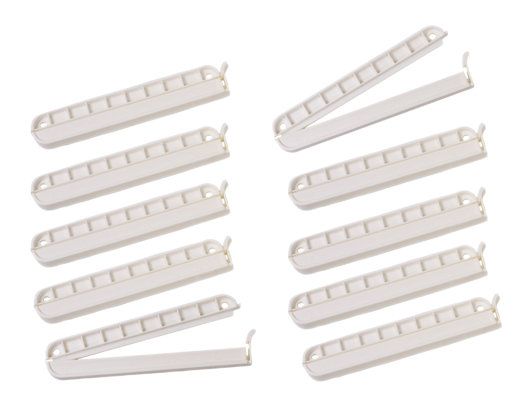 The smaller size makes the Klip™ less bulky. Dimensions: 3.5" x 1" x 1"
Form exercise tubing into a loop and secure loop by clamping the tubing Klip™ over the two ends of the tubing, a few inches from each end. This device allows tubing to be formed into a loop without tying the tubing into a knot. Many exercises with resistive exercise tubing require users to form tubing into a loop in order to perform the exercise. 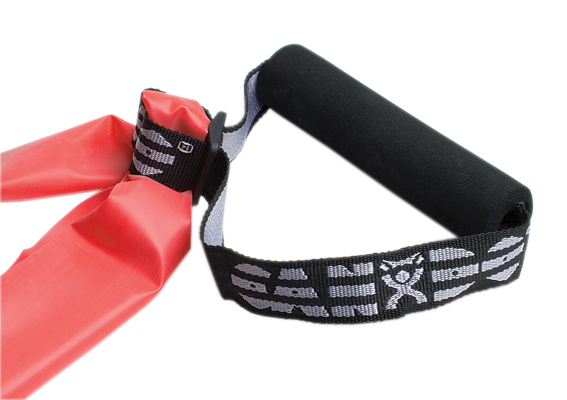 The tubing Klip™ also can be used near the end of tubing as an anchor to prevent the tubing from sliding through the opening of the exercise bar. Small tubing Klip™ designed for green, blue and black CanDo® exercise tubing. Dimensions: 2" x .5" x 1"
Dimensions: 4" x 2" x 4"
CanDo® door anchors with large swivel can be used with band or tubing for over door, under door or in door jam. Band and tubing sold separately. Dimensions: 3" x 0.5" x 6"